Disclaimer: I have to be honest about this project – I don’t feel like I’ve covered all the basis for this reconstruction. 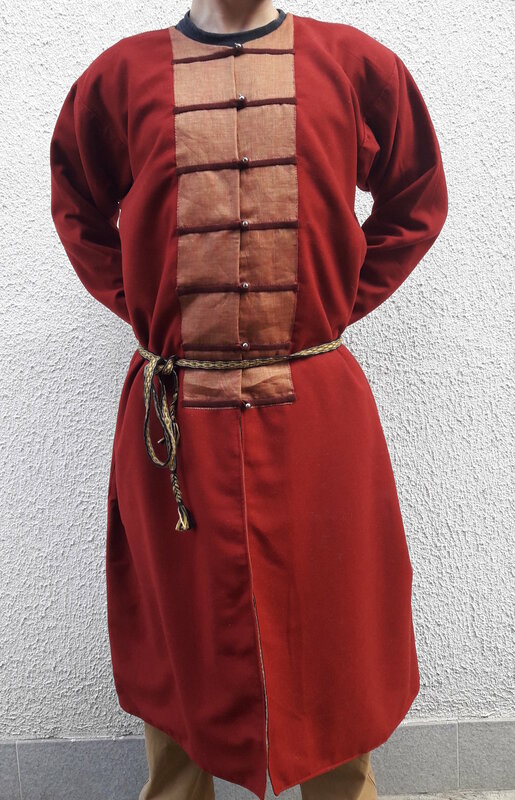 I found very insufficient info on viking age kaftans, and although there are some extant originals, they are all very different and specific to the region they come from. Kaftans come in various lengths. They can be made with both rich and simple materials. 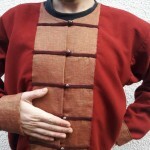 They can be symmetrical and button up on the center of the torso, or they can overlap and button up on the sides. They can have additional decorations or be completely unadorned. One thing is universal – the buttons on all examples are decorated with laces or strips of fabric stitched on to the face of the garment. 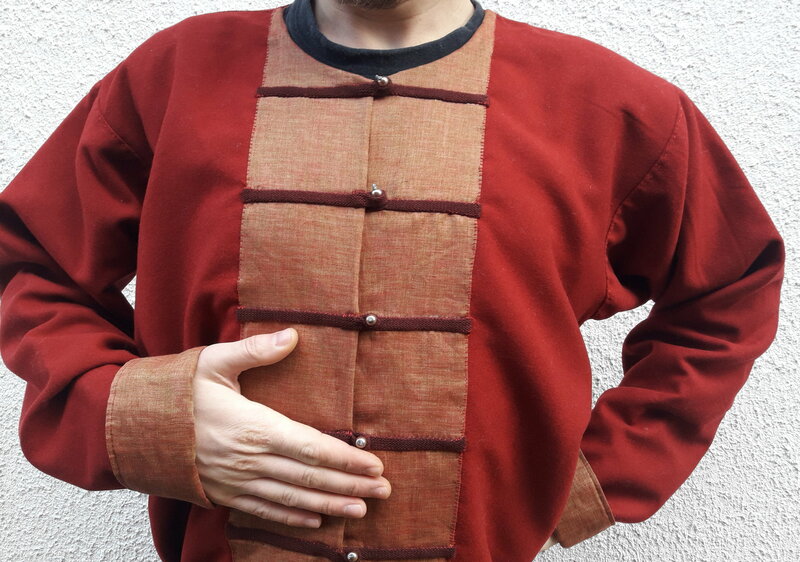 For references – check out the Moschevaya balka kaftan. 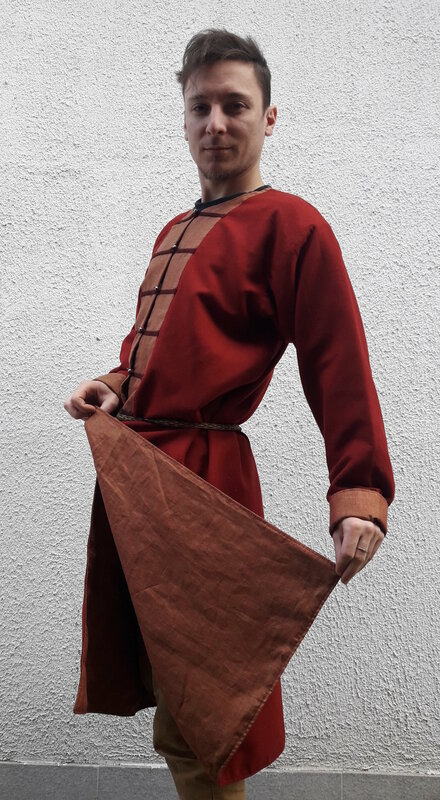 Looking through people’s reconstructions, I found a lot of online shops reconstructing the Birka and Gnezdovo kaftan finds. Sadly, I couldn’t find any photos of the actual archaeological finds. 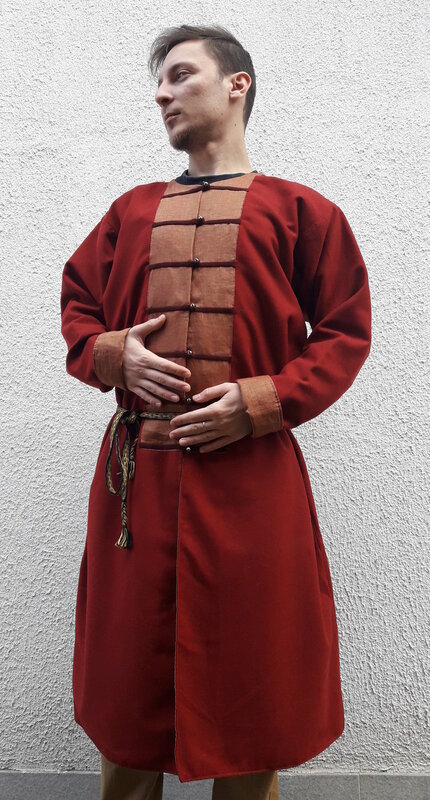 So, what we have here is not an Exact replica, more an approximation of what an average kaftan from the 10th century might look like. 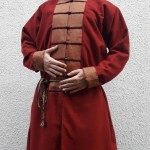 This model is adequate for reenacting 8-10th century middle class persona from the European north, east and south. 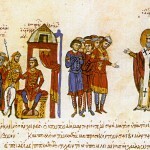 That includes the Scandinavian kingdoms, Kievan rus, Byzantium and the Balkan kingdoms up until the 11th century. 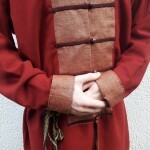 It’s made of gorgeous dark red wool, with linen lining, and fancy chest decorations. 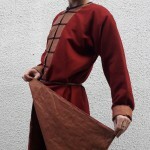 Most of the work on the kaftan is done by machine with the exception of the chest decorations. The applications, laces and buttons are all sewn by hand. 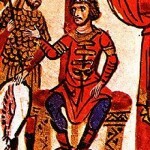 As a point of national pride, I added the images of the Bulgarian Khan Omurtag from the Madrid version of John Skylitzes’ chronicle. 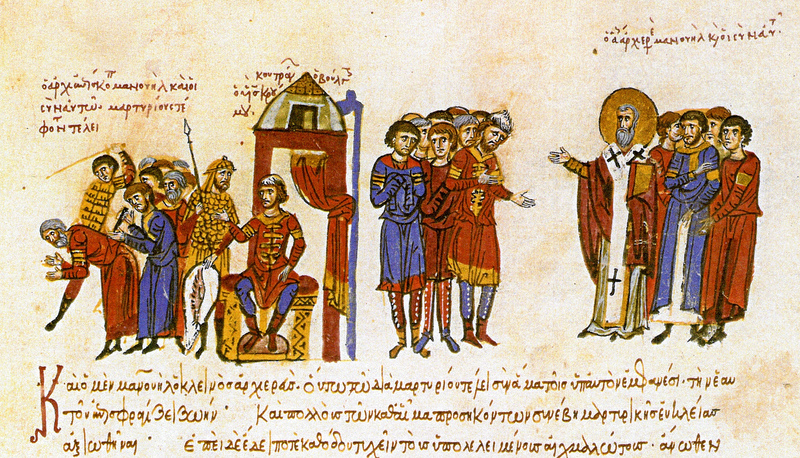 The manuscript is from the 12th century but it depicts events from the 9-11th century. 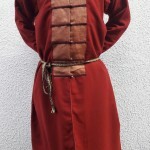 He is depicted wearing a similar type of viking age kaftan with chest, neck and bicep decorations. 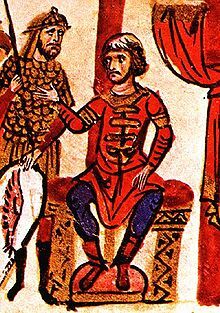 My reconstruction is not the same as the Khan’s, it’s just a reference to show that similar clothes were worn on the Balkans as well.